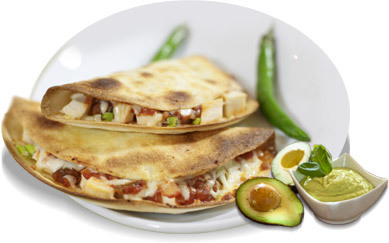 Here we offer you Best Mexican Food in the town with Online Order. We serve very delicious breakfast, lunch, dinner and drinks. Our services include Table Bookings, Takeaway, Delivery, Catering Services, Table Service and much more. At Mariachi Loco we offer a large selection of Authentic Mexican Dishes freshly prepared when you order them. We use the finest ingredients and only cook with vegetable oils for healthier and tastier meals. Fresh Catering can take care of all of your catering needs-from a small get-together to a large corporate event. Incredible! The freshness and quality of the food prepared is a major factor for our office to be regular customers! We order frequently. The best Mexican food in the area! Bar none! Truly the best Mexican food I've ever eaten. I've been here many times, and the quality is always consistent. There are also plenty of choices for vegetarians, and they are very happy to customize any of the dishes to your liking. My job orders here often. We are always happy with the food and the delivery. Delicious and authentic Mexican food! Friendly staff ! Awesome and fresh tacos. Lots of food for a low price! The owners are extremely nice. the food is amazing.